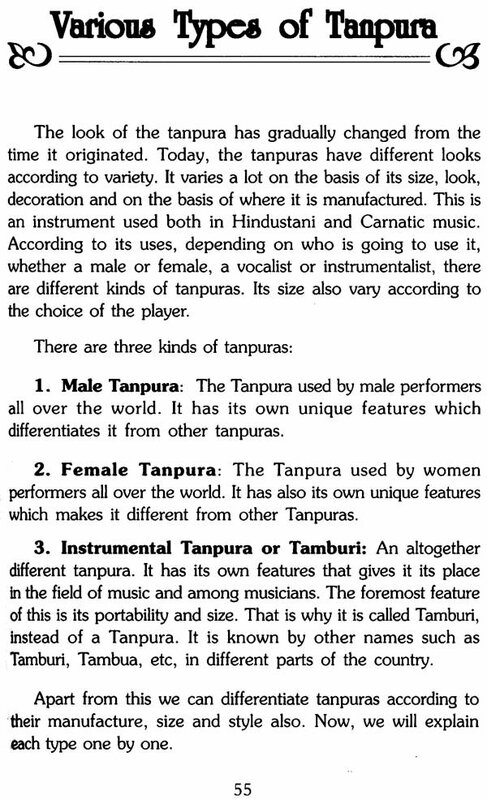 The tradition of music in our country is as old as the civilization of this country itself. Music is considered to have a divine origin and one which brings its practitioner very close to God. But later it came to be presumed that music is inborn quality given by god himself and therefore it can not be learned here on this earth. One may be trained in music and excel provided there is genetic support. But it is not a universal fact. One can learn everything with proper sincerity and devotion. 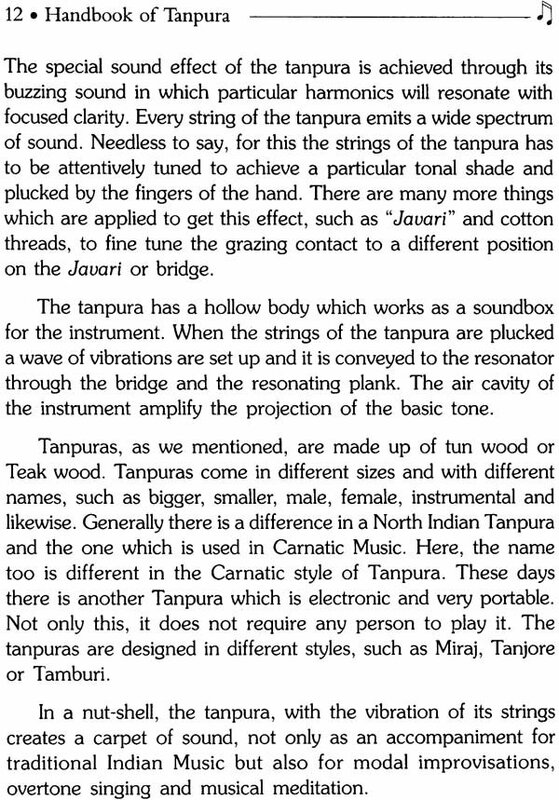 Keeping this in mind we would like to introduce to the readers one of the most important instruments of Indian Music the Tanpura. 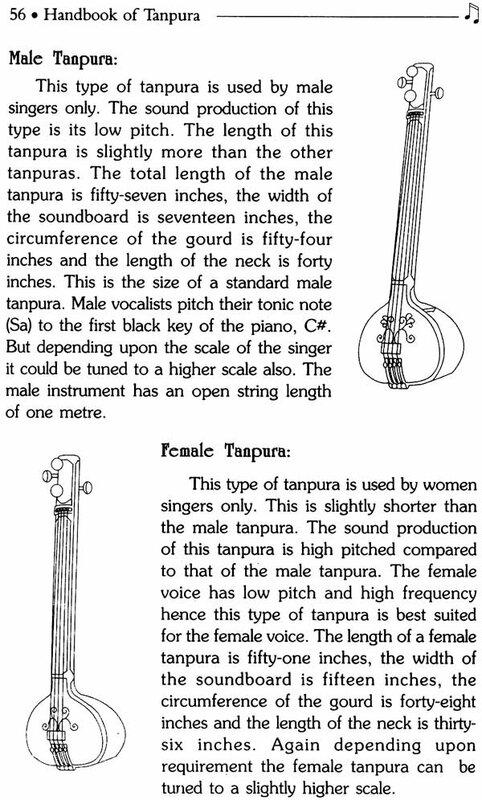 Although it is into meant for playing as a solo instrument it certainly occupies a prominent place in the field of music especially vocal. 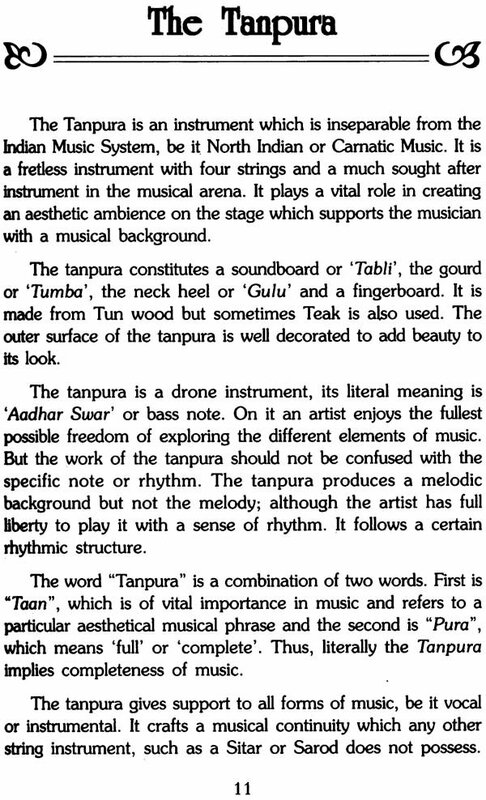 This is the reason that compelled us to familiarize the readers with something more about this instrument. 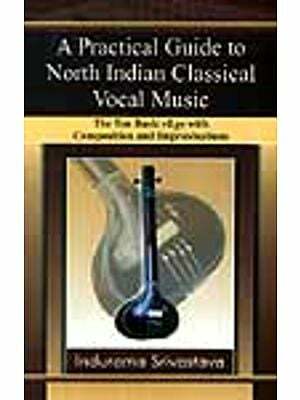 This book gives a sound idea of the history development and basics of the instrument to begin with and then facilities the reader in motivating his or her interest to know further and learn about this wonderful instrument. This book takes care of the inquisitiveness of beginners and points out the salient areas of this field in a friendly and simple manner. 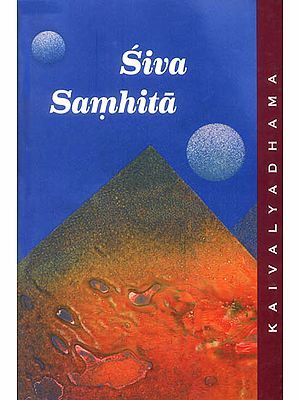 Any suggestion for improvements of this book are welcome. weight of book 180 gms.